My GSD pup, Jake, simply WONT walk down my street with me. He is fine going out on the leash to go potty, as we have not installed the electric fence yet, but as soon as he realiizes that I'm trying to lead him down the driveway for a walk, he sits and wont budge. I have tried everything I can think of such as bribing him with treats and having my little brother walk ahead to call him to come, but he just wont walk! This is really sad because my mom used to breed bulldogs, and they wouldn't walk either. Going for walks is one of the side-reasons that I have been begging for a German shepherd pup for 4 years now! And now that I have my dream, he wont go for walks. So sorry to hear about your German Shepherd pups unwillingness to go for a walk. Well, if I were you I would take him to the vet first just for a check up to make sure that there is no medical reason for his not wanting to walk. And if the vet check is "all good to go - no medical problems" then I would ask your parents to sign you and him up for a kindergarten puppy training class. It will be the best time and money you will ever spend on your puppy at this young age. 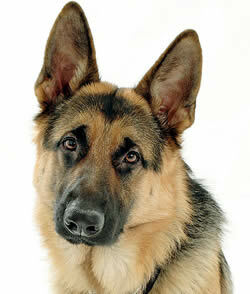 Plus, the dog trainer can give you good suggestion on exactly what to do based on your GSD puppies actions. And you will learn how to make the puppy do what you want to do - basically the dog training class will train you how to train your puppy. So good luck with your new German Shepherd puppy. Comments for My 12 week old GSD Puppy wont go for a Walk! german shepard will not go for walk. I have the same problem with my shepard puppy,who will be 3 months old jan 24 2015.I cannot understand it,because I see people walking their shepards all the time.He see's the vet in 2 days for his second set of shots & If the vet finds nothing wrong with him then I will have to spend the money on obdience training. THAT IS NOT A GERMAN SHEPHERD! Maybe that's why he won't tag along with you. You are attributing GS traits to a different breed dog. Find out what breed it is...maybe it's his nature to just sit around and not go walking.